Our overseas vendor are demanding a sale and have adjusted the price accordingly. Now priced at $1,720,000 ($180,000 below the CV $1,900,000 2017) so make an offer! The location makes this home a winner. The potential makes this a winner. On top of those two wins, it is available for you to win as well, especially at this price point. 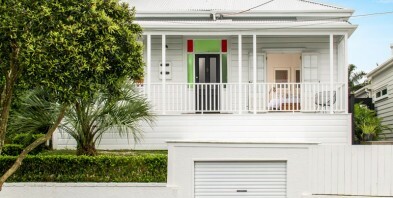 The much-loved home is situated in a sought-after street, nestled between Richmond Road and Grey Lynn Park. Of course, it offers so much as it is. A very tidy, three bedroom villa on a large level site. While the house is great, the hero is the garden. Heaps of space for entertainment and play, and of course, building. Garaging is there already, as are the views from the front veranda across the valley. This is family living for now and the future. Steps to Richmond Road Schools, and metres to the cafes and shops of Ponsonby Road. Our vendors are demanding offers.